This Charity Concert in the Memorial Hall, West Moors is in aid of St Mary's Church in the village. Line Dancing the way it should be - enjoyable. The group meets each Thursday from 7.30 to 10pm. 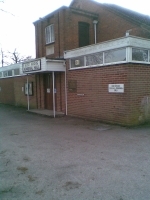 It has been a feature of the West Moors Hall's activities for many years, with both social dance and training for newcomers. Do come and join us - you will be made welcome.